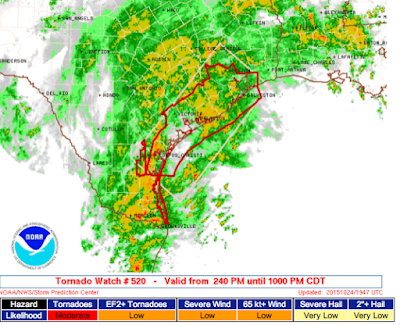 There have been several tornadoes already today. Please keep an eye out. 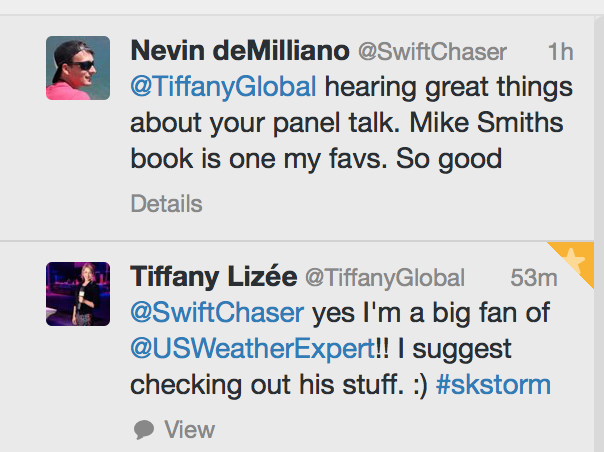 I will not be live-blogging the storms. If you drive into a flooded area, you may find yourself 20 feet up a tree. These incidents are completely preventable. Not only do you put yourself in danger, you put first responders in danger. Municipal solid waste decomposes into methane, “a harmful greenhouse gas that plays a part in climate change, with more than 20 times the warming effect of carbon dioxide,” Energy says. 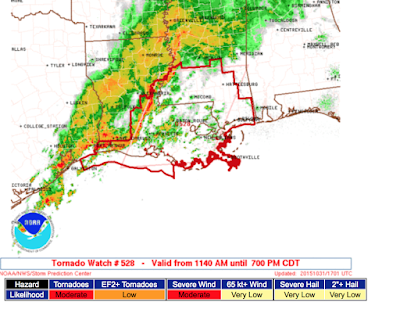 It does no good to issue a storm warning if no one understands it. Some thoughts on improving warning communication, here. In a world in which malnourishment continues to claim at least 1.4 million children’s lives each year, 1.2 billion people live in extreme poverty, and 2.6 billion lack clean drinking water and sanitation, this growing emphasis on climate aid is immoral. According to a recent paper by Neha Raykar and Ramanan Laxminarayan of the Public Health Foundation of India, just $570 million a year—or 0.57% of the $100 billion climate-finance goal—spent on direct malaria-prevention policies like mosquito nets would reduce malaria deaths by 50% by 2025, saving an estimated 300,000 lives a year. Providing the world’s most deprived countries with solar panels instead of better health care or education is inexcusable self-indulgence. Green energy sources may be good to keep on a single light or to charge a cellphone. But they are largely useless for tackling the main power challenges for the world’s poor. The entire article is here. If it is behind a paywall, just Google the title. Why does a curve ball curve? Take a look! And in this short article I have certainly not been able—any more than the IPCC in its lengthy reports—to present a convincing case, based on logic and observations, of why anyone should believe the consensus statements. Couldn't have said it better myself. The full article is here. They love it in Canada! 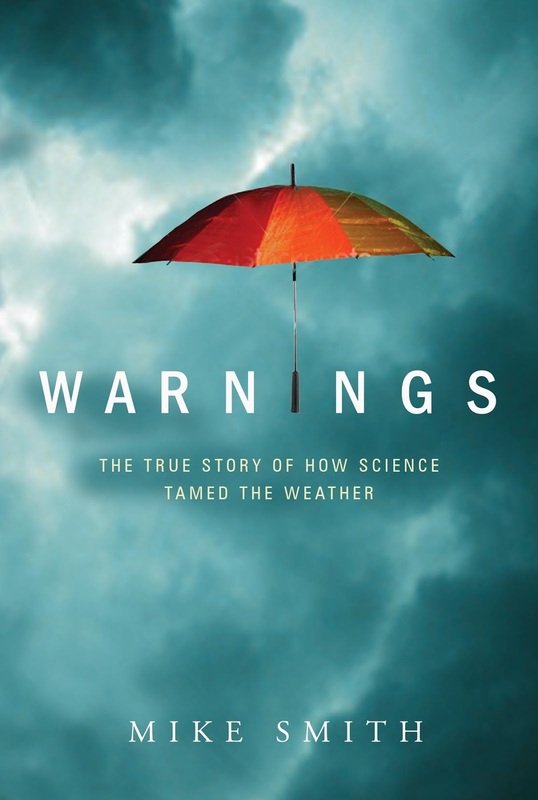 If you haven't read Warnings, you are missing a great read about storms and the heroic people who risked their reputations to tame them. Liz [Koch] continued. "He could have moved many times. [He] could have moved Koch Industries anywhere in the world you wanted to. But this is a great place for raising children and running a business with values." I am not a native but Kathleen and I chose to start WeatherData here, raise our family here, and AccuWeather Enterprise Solutions has prospered here. Looking for a place to start a family or a business? Check Wichita out! Please realize all of this is designed to influence public opinion leading up to the Paris climate talks. It will all be forgotten the day after the meetings end. Let's assume for a minute that we all had to move to Antarctica. Did you know the entire population of the world could be comfortably housed in the states of New Mexico, Texas, Oklahoma, Arkansas and Louisiana? There is plenty of room in the world. 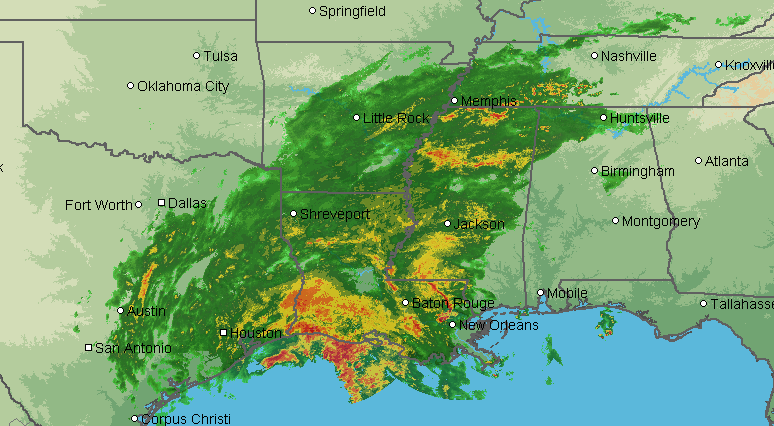 Here is the current AccuWeather Regional Radar. 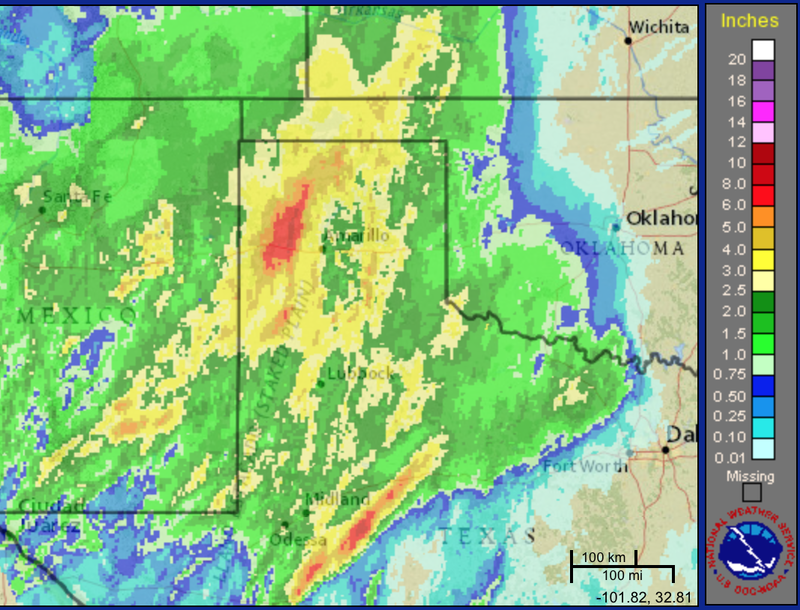 Here is the rain that has fallen up to 7 o'clock this morning. 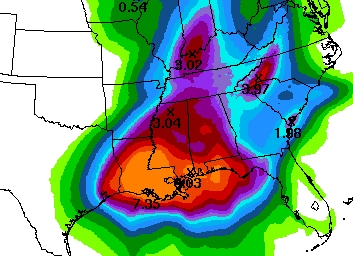 And, this is the forecast rainfall from 7am this morning to 7am Wednesday. Here is a summary of forecast river stages. Reds = moderate flooding. 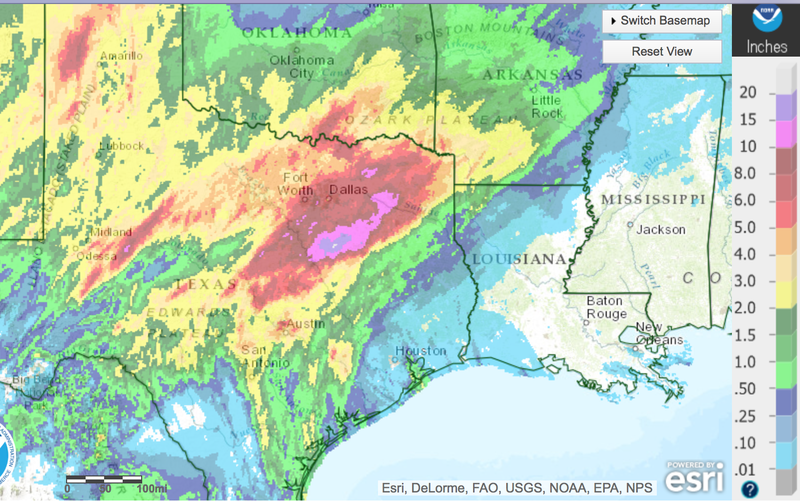 Purple = severe flooding. 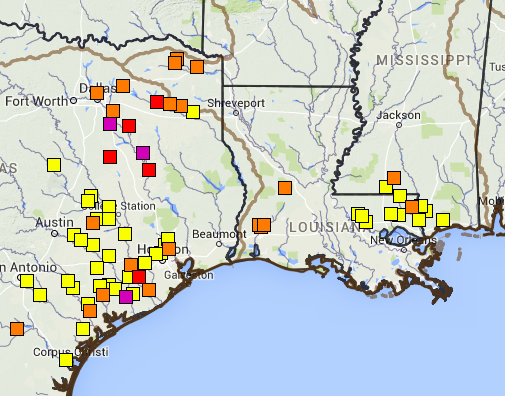 Yellow is near flood stage and orange is minor flooding. 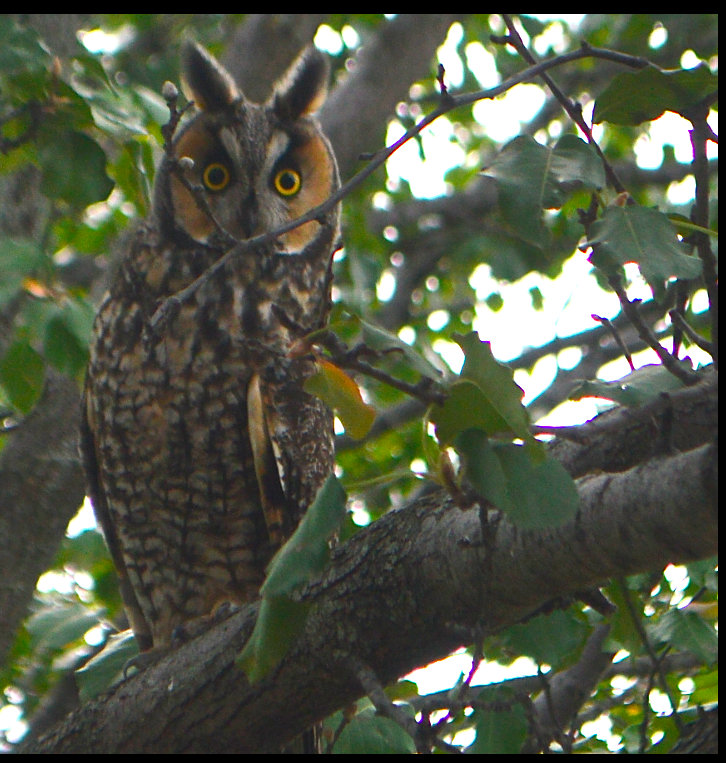 Kathleen looked out our window yesterday afternoon and saw this fellow. Thought it would be a nice way to start a new week. And, a special Happy Birthday to my brother, Phil! Record hurricane, serious flooding, etc., etc., at least this week has come to an end with a spectacular sunset over Wichita. 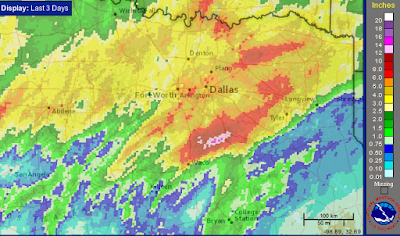 First, here is the rainfall that has fallen with this storm up to 2pm CDT. 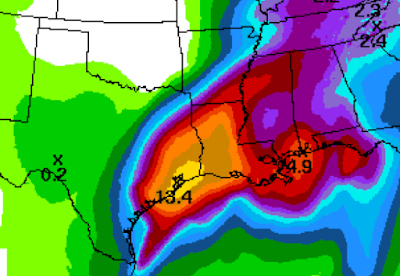 The NWS is forecasting an additional foot of rain to fall in the vicinity of Houston and the Orange Triangle with heavy rains east into Louisiana and more than seven inches likely. The torrential rains (upper map) south of Dallas, near Corsicana, will generally flow south southeast toward the Gulf (arrows). 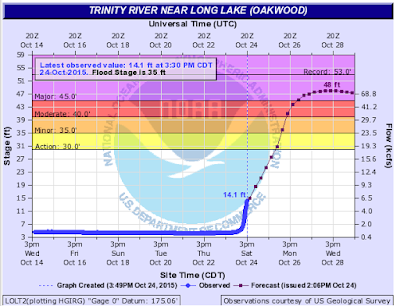 This additional rain will fall on top of the rising rivers, rapidly and significantly worsening the seriousness of the flooding. The river, after a dry autumn to date, hardly had any water in it. But, in a period of 72 hours, it is going to rise more than 40 feet (!!) to a major flood. Valuables gathered together so they can be quickly put into the trunk so you can leave quickly if rising waters force you to do so. You may need extra water even if you do not evacuate. You may recall that a number of cities' water systems failed in the recent South Carolina floods. A case of bottled water is a good idea. Keep your computer and cell phone completely charged in case your power fails. Text messages often work when primary cell service is down. Please keep up with local sources of flood warnings. The rotational remains of Hurricane Patricia are helping to induce a situation where thunderstorms can rotate sufficiently to produce weak to moderate intensity tornadoes. I will not be live-blogging these storms. 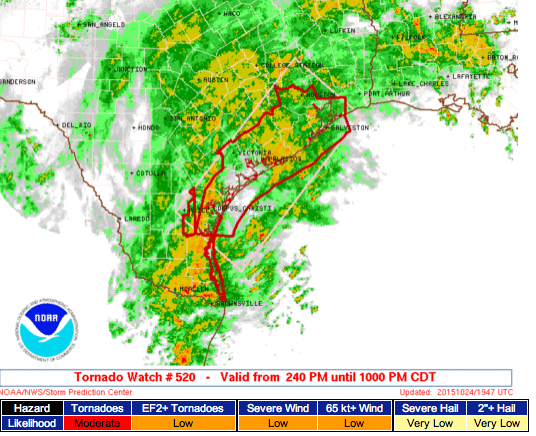 This watch does include Houston and Galveston. Johnny Carson and Ed McMahon used to have a bit about the weather where Johnny would say something about a weather extreme and Ed and the audience would ask, "How Hot/Cold/Wet Is It?" You can see one of them at the link. It isn't every day you see a rain gauge attached to a booster's sign at a football game! tells us that "Mother Nature is unpredictable" and that they didn't know it was going to be raining!! All you have to do is scroll down and you will see the flooding rains in Texas were extremely well forecast. 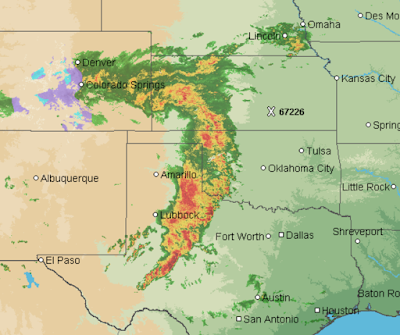 AccuWeather, the National Weather Service and just about everyone else forecast it as well. I have no problems with sideline reporters and, earlier this week, wrote a post defending CBS's Allie LaForce against unfair criticism. But, repeating silly clichés about meteorologists is not news reporting. 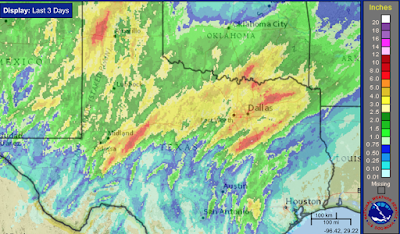 AccuWeather has video of the Austin flooding. Wow. It looks like the warnings worked. 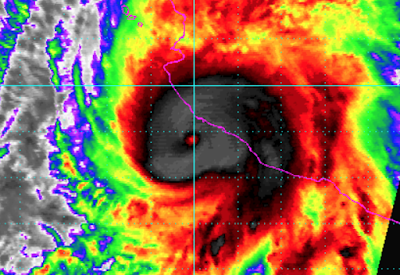 MEXICO CITY — Early reports in the aftermath of Hurricane Patricia — one of the biggest storms to ever make landfall — were cautiously optimistic: No deaths were reported and no signs of major damage were seen along Mexico's Pacific seaboard. Mario Anguiano, governor of the state of Colima, which includes the coastal city of Manzanillo, toured the impacted area just before midnight Friday – nearly six hours after Patricia's landfall – and saw minor damage to buildings and roads but said there were no reported deaths or major damage to infrastructure, such as downed bridges. "The saving of lives has been exceptional," he said in an interview with Milenio Television. Let's home the final reports are as wonderful. 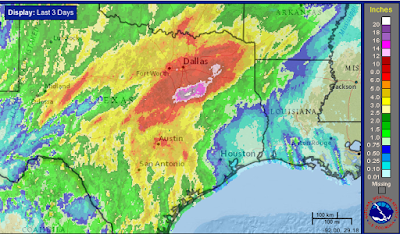 Yes, that is more than 20" in two days south of Dallas. But, the rain is hardly over. The remains of Hurricane Patricia will cause more rain in south Texas. When the announcers mentioned that rain was headed toward Kaufman Stadium, I set Minutecast for Kaufman where the Royals and Toronto are playing for the ALCS. At 9:27, it said the rain would begin in 33 minutes. The rain began at 10pm. 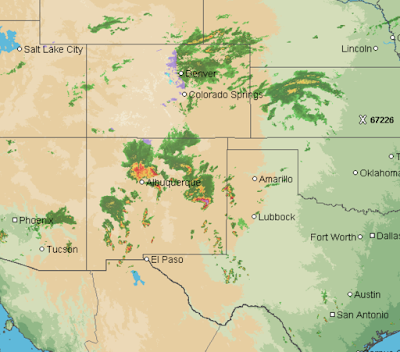 Nothing in meteorology in meteorology is perfect but Minutecast does an amazing job! 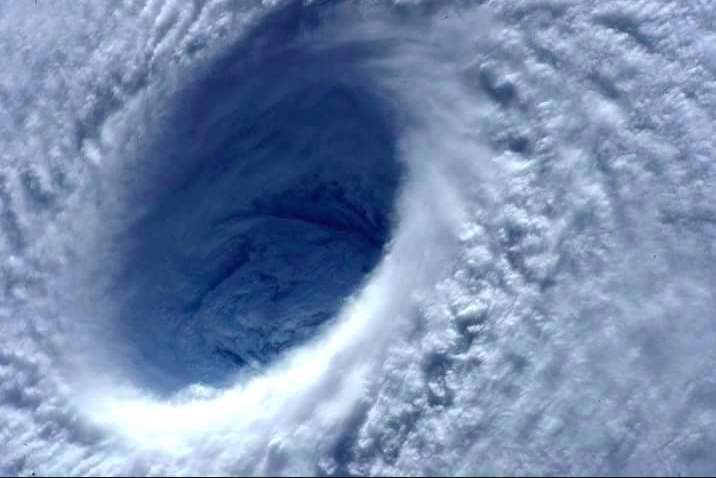 Earlier today, a weather satellite took this image of the eye of Hurricane Patricia. It illustrates what meteorologists call "the stadium effect." In other words, if you were in a boat, it would look like you were standing in the middle of a major league football field. Here is the 10pm position of Patricia. 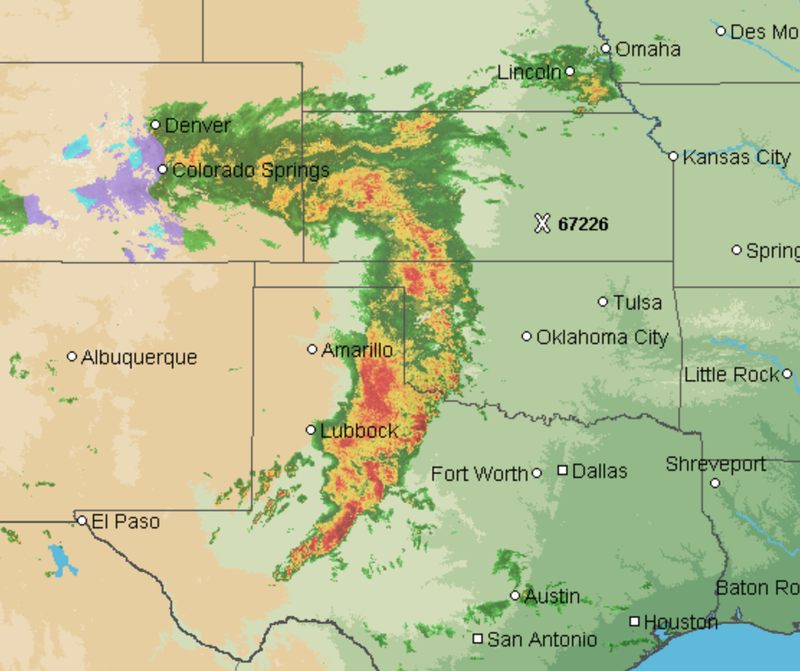 The storm still has 135 mph winds. At 7am Saturday, the storm will be of tropical storm strength. It is expected to be a tropical depression tomorrow evening. 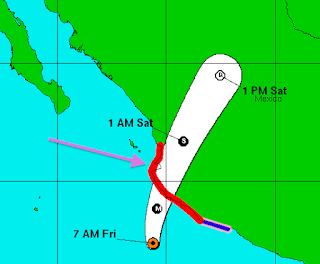 The red on the coast is the continuing hurricane warning because of the winds on the backside of the hurricane. A weather station in Mexico, near Cuixmala, recorded a sustained winds of 185 mph with a gust to 211 mph before the power failed. That will cause catastrophic damage. 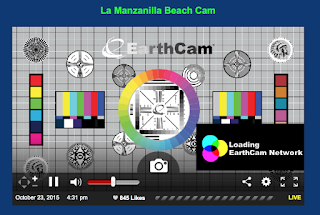 If you are on Twitter, click here for a video showing the storm surge reaching the city of Manzanillo. As you can see, it looks like a tsunami as it moves inland. The deeper purple colors are more than 14 inches. 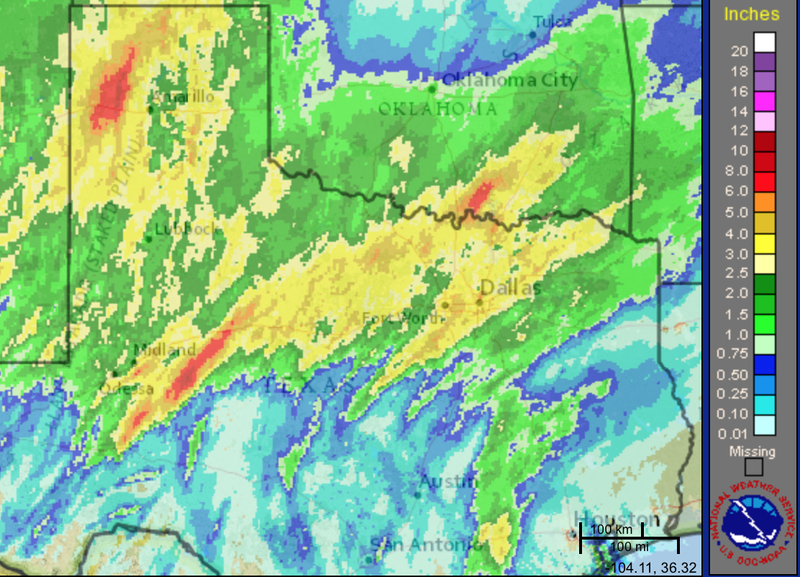 The Corsicana airport has received more than 13.5", so these radar-based estimates are correct. 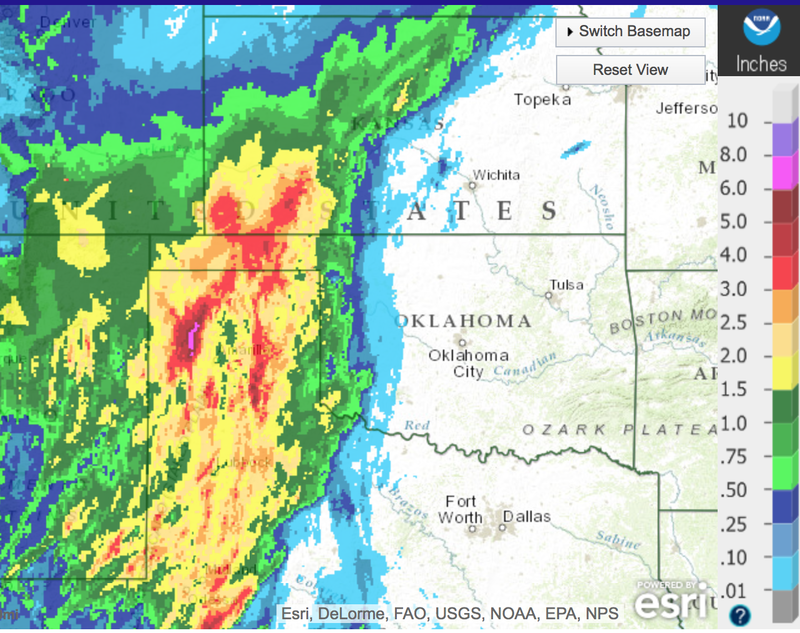 Severe flooding is reported. 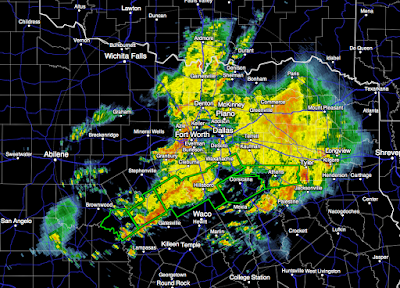 Below is the NWS radar from 7:45pm. It was knocked out of service at that time, likely due to lightning. The green outlined counties are under flash flood warnings. 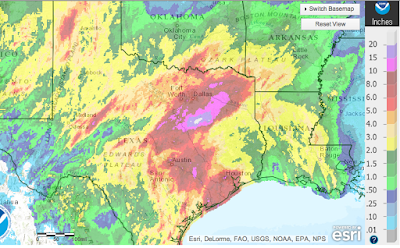 The flood situation in Texas will worsen through the weekend. 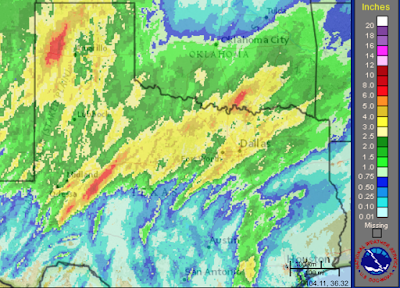 Here is the rainfall that has fallen over the last three days up to 3 o'clock this afternoon. There is already one small area of 10" south of Dallas. 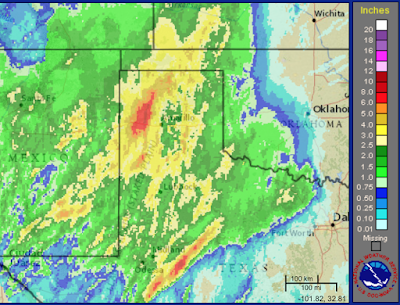 Considerable flooding is occurring in that area. 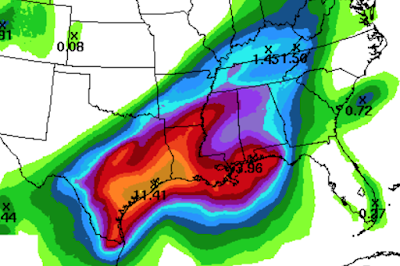 Here is the forecast additional rainfall for the next three days. Per the NWS's rainfall forecast above, another 6" is likely south of Dallas. 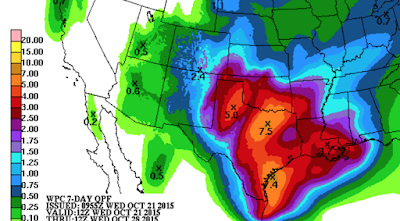 The remains of Hurricane Patricia will cause a second area of extreme rainfall with about 15" near Houston. This is a major flood situation and people in or near these areas should be prepared for flooding..please note that Louisiana is now at risk. I will update this outlook tomorrow morning. 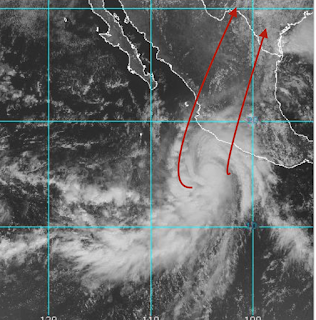 Here is the 3:30pm satellite image of Patricia. The hurricane is an hour or two from the eye's landfall in or just west of Manzanillo. I expect the hurricane's damage to be devastating in and around that city and just inland. The 4pm advisory from the National Hurricane Center says the pressure has risen to 903 mb (for those interested) with sustained winds of 190 mph. That is still an unbelievable value. 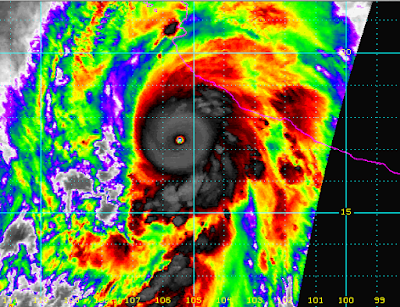 However, even though the storm has "weakened" it is still a category 5 hurricane. You may recall the devastating storm surge associated with Katrina. Even though it was 'only' a Cat. 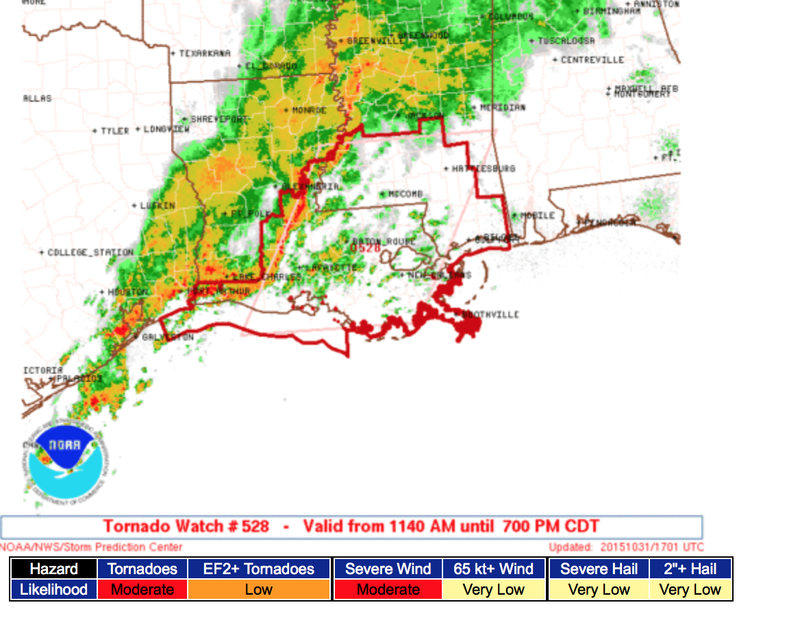 3 at landfall, the storm surge, which built up while it was a Cat 5 at sea, devastated the southwest Mississippi coast. It is likely, but not certain, that will be the case here, especially around the bay at Manzanillo. UPDATE: 4:32PM. 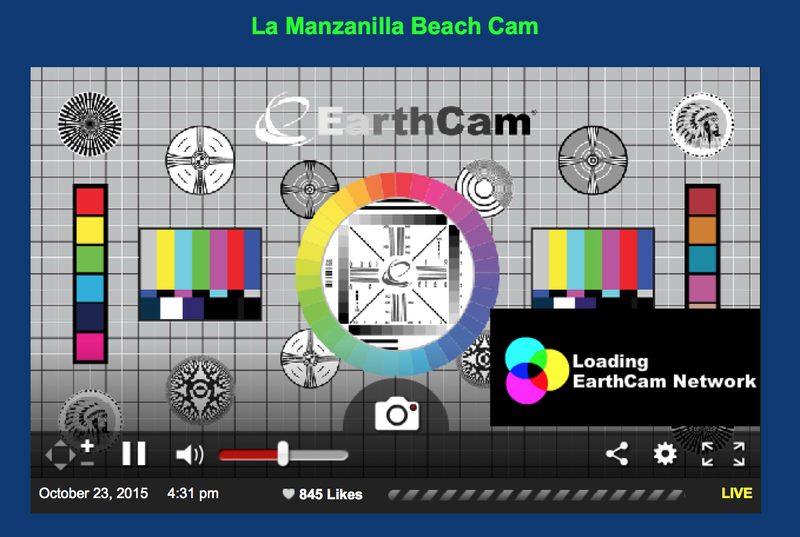 The Manzanillo beach camera just failed. Here is the storm total rainfall up to 10 o'clock this morning. More than six inches have fallen in several areas. Here is the forecast for additional rainfall for the next three days. I'll have a complete update late this afternoon. Here is a map of the amount of rain that has already fallen over the past three days. 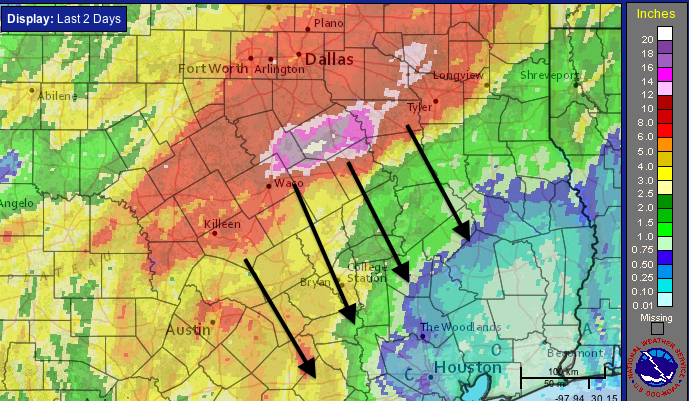 As previously mentioned, the threat of flooding is high. 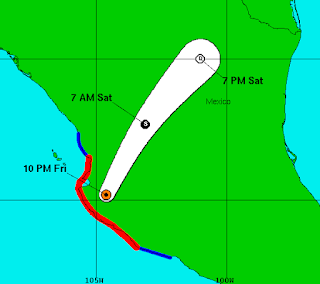 Part of the reason is the remains of Hurricane Patricia, now a Category 4 hurricane headed for Mexico's west coast, are going to affect Texas. Please note, with the exception of the unlikely chance of an unnecessary stay in a hotel room, just about everything recommended above will cost little to nothing. You'll spend the extra cash. You'll take the medicine. Eventually, you'll drink the extra water. It costs nearly nothing to prepare. It can cost you dearly if you do not prepare. Yes, that is more than six inches in west Texas. Yes, that is a maximum of 11 inches. Flooding is likely. Please see below for preparation recommendations. 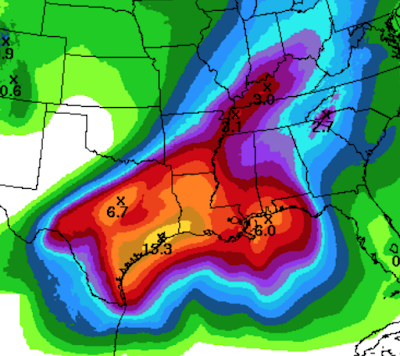 This is the seven-day rainfall forecast for the south central United States. Two areas are forecast by the NWS to have more than ten inches of rain. 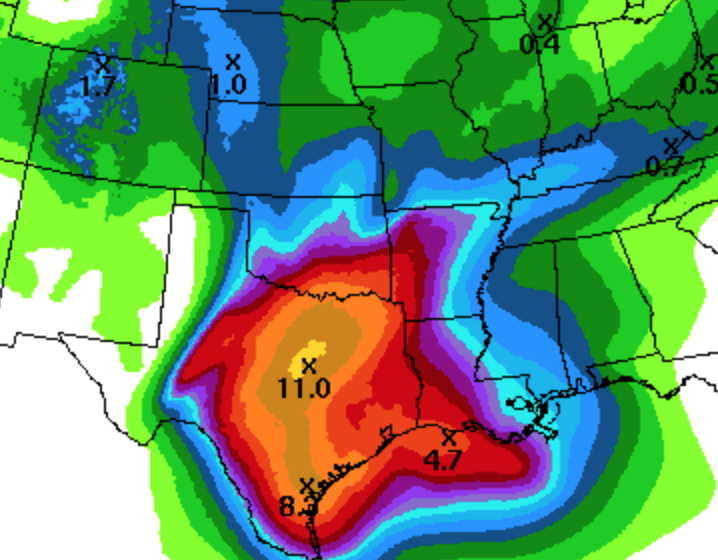 Needless to say, this could result in serious flooding. You may need extra water even if you do not evacuate. You may recall that a number of cities' water systems failed in the recent South Carolina floods. 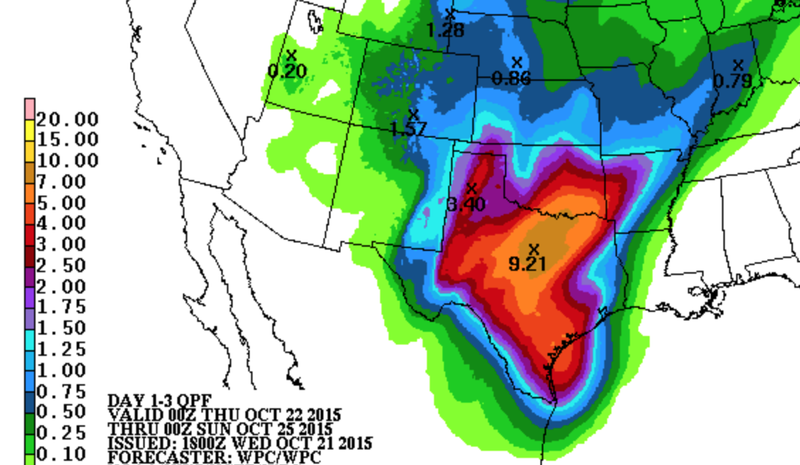 This is the forecast rainfall for Texas for the next three days. 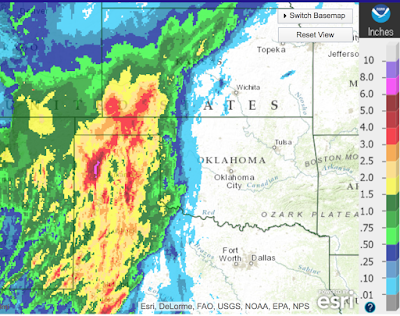 Southern Oklahoma is at threaten, as well. Looks like next week may see additional rains, some heavy, in the southern half of the Plains. I have more details on the blog this evening. Large hail has already been reported in New Mexico this morning. 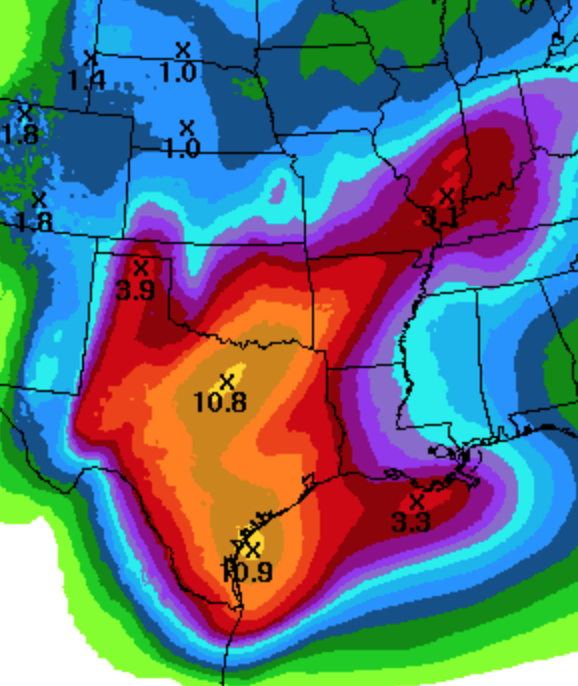 Above is the forecast rainfall for the next seven days. 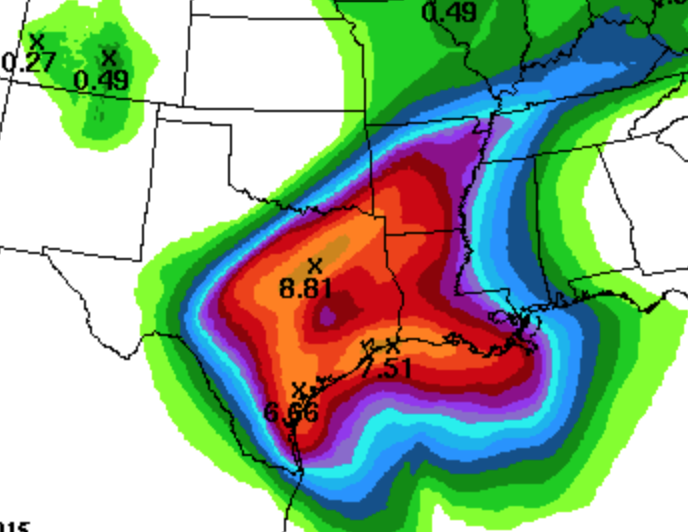 That 7.5 inch maximum is over the DFW Metroplex. 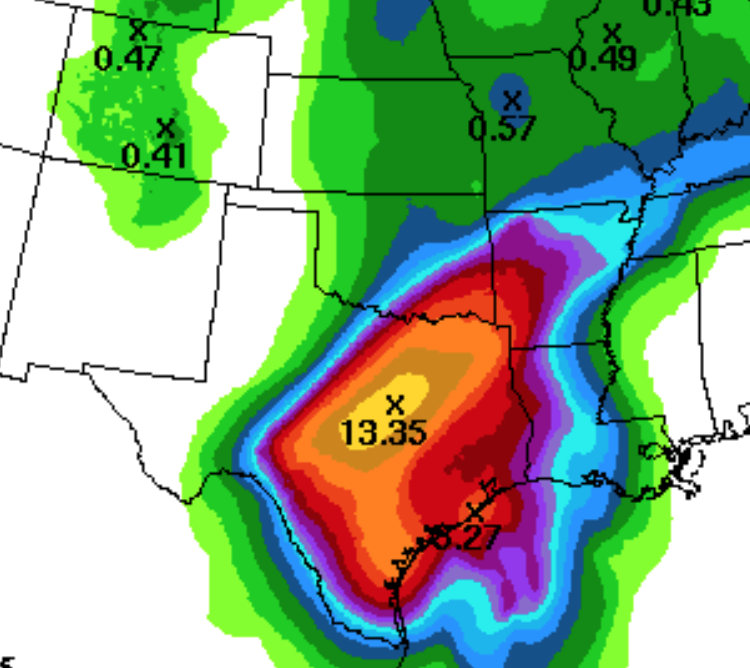 The rains will come in one event that will start tonight and continue into the weekend with a second round the middle of next week.